A misplaced apostrophe or poorly spelt word can mean the difference between failure and success. It is easy to avoid errors by rereading what you have written. Even better, if you are preparing something like a job application, where you only have one chance to get it right, get someone else to look over it first. Life is much easier since the invention of computer spellcheckers, but do not place 100% reliance on them. Always check the spelling of any words you’re not sure of. In particular watch out for technical terms or more unusual words. You also need to be careful of Americanized spellings like ‘color’ instead of ‘colour’. Make sure you’ve set your spellchecker to ‘UK English’. Grammar is all about putting words and sentences together in the right way. Most grammatical mistakes happen when people write long sentences or use words they’re not sure about. Always check the exact meaning of any word you’re not familiar with in a dictionary, and try to write in short sentences. Putting apostrophes into plurals (like “rabbit’s” instead of “rabbits”), not using commas to separate lists and forgetting to put quotations in inverted commas are all common punctuation mistakes. Although many solicitors may avoid using punctuation when drafting legal documents, this is not a luxury you have when applying to them for a job. 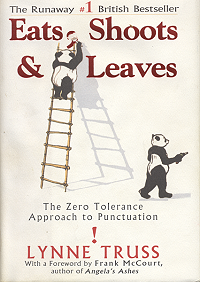 If you find punctuation a struggle, the book Eats, Shoots & Leaves is worth a read. The second foundation skill we need to consider is how well you learn through reading. Consider this question: Have you ever read something and ten minutes later you cannot remember what you were looking at? The reason you cannot recall what you read is that you might have been reading the material passively. There is a technique to reading when revising called active reading. When you are reading actively you are focused on what you want to learn from something. Consider these active reading tips and try them out. Most of the tips involve printing out parts of your course notes. 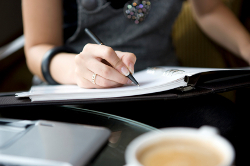 You can carry out similar steps when reading your notes online, but often people find they can recall material more effectively if it is in hard copy. A useful way to help you read more actively is to highlight separate keywords in a text using different colours. For example, you could highlight case names in red, Acts of Parliament in green and keywords on legal principles underlined and/or in bold. When you’ve finished, read your notes again and try to list the key points you have highlighted. Ask questions of the text: Who wrote it? When? Does it link with other material you’ve studied in the course? You can use them to keep track of themes or collect examples to back up an argument. This is particularly important if you are doing most of your reading online. When you can explain what you have read to someone else, you have gained a true understanding of a subject. It is likely that you already use some of the techniques set out in this article, but if there are some you have not used, give them a try and see if they make a difference.